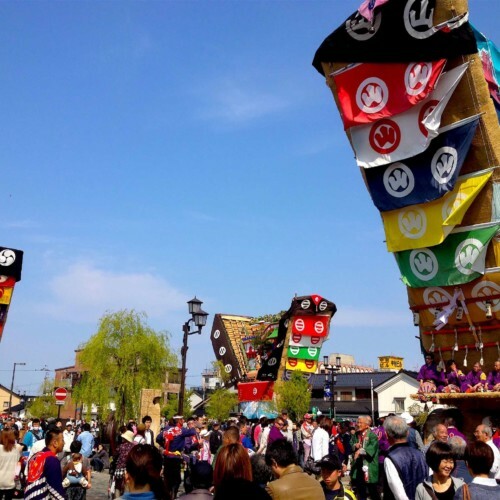 The Yamada no Harumatsuri (Yamada’s spring festival)—the grand annual festival held at Tsunemochi Shrine—is famous for being the first festival of the year in the Chichibu region to feature Dashi floats. 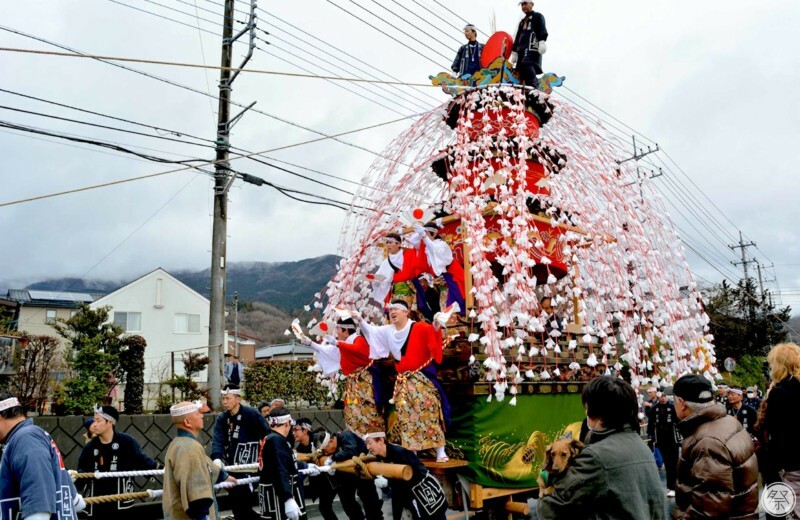 Dashi floats including two Yatai (a type of Dashi float with a roof attached) and one Kasaboko leave their mountain villages and gather at Tsunemochi Shrine, where sacred Kagura dances are performed and a ceremony is held. After the clock strikes 1:00 PM, the floats leave for Yasaka Shrine, designated as the festival’s Otabisho (a resting site for the enshrined deity). 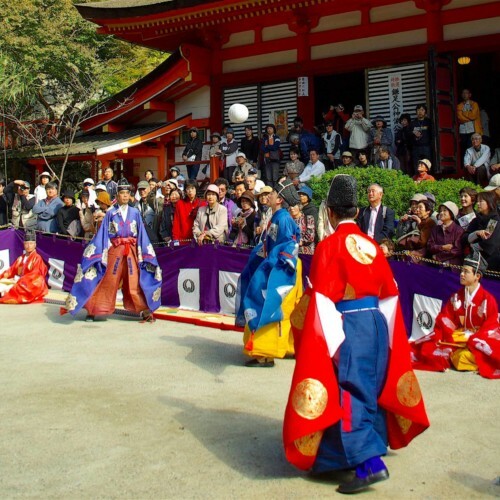 After a parade through the streets, a ceremony is held at the Yasaka Shrine. Chochin and Bombori lanterns on the floats are lit after dark, turning the festival into a dazzling colourful festival, along with the fireworks in the sky. 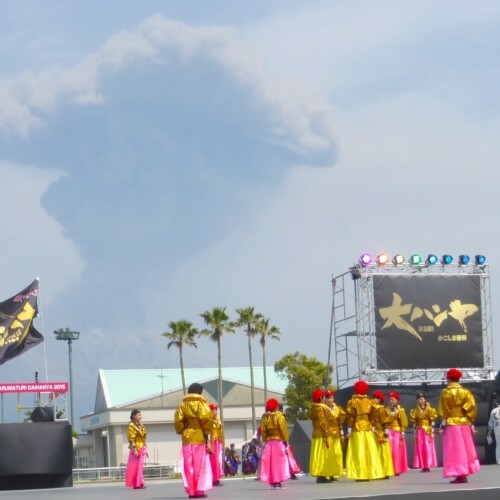 Yamada no Harumatsuri marks the ending of the harsh cold of the winter season, and the arrival of spring—eagerly awaited by the entire Chichibu region. 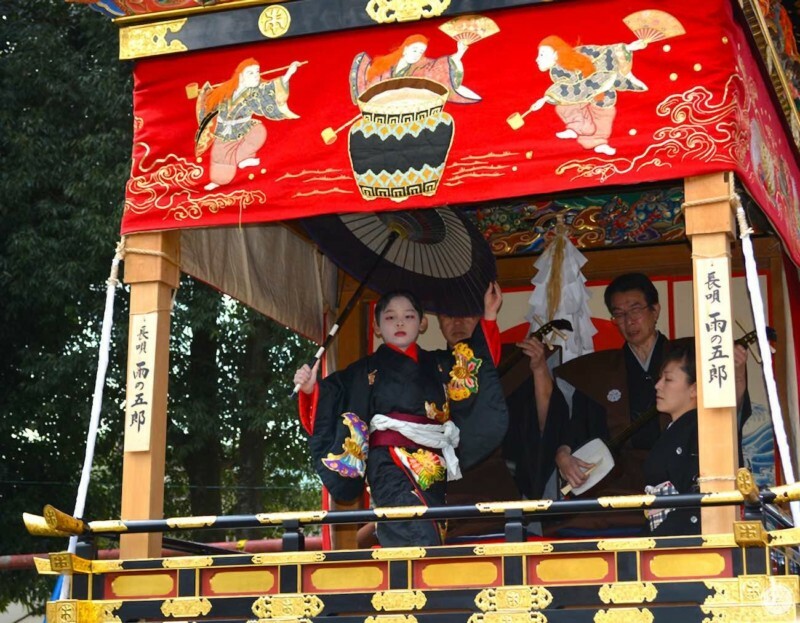 1．Watch the thrilling procession of historic Dashi floats! 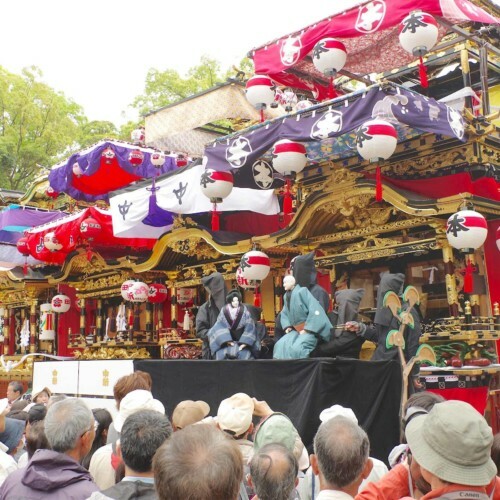 It is said that the two Yatai were built approximately 300 years ago, and the Kasaboko (a float decorated with artificial flowers placed radially from the top of its triple-layered roof) about 150 years ago. The procession of these historic floats are the festival's highlights you cannot miss. 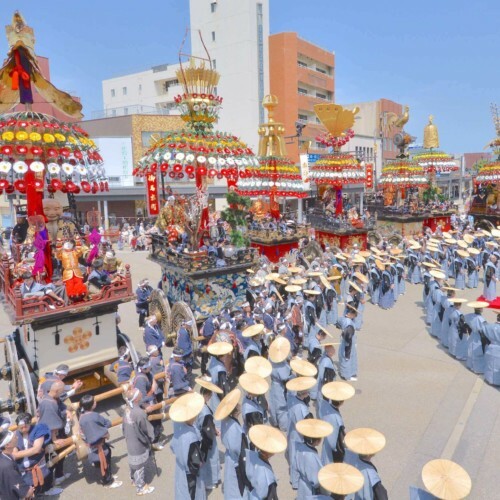 The Dashi floats distinctly backed by the clear blue sky—in a time when the air is still slightly chilly—appear extraordinary beautiful, and to see them being pulled through the streets just as wide as the floats themselves is a thrilling sight to see. 2．Witness a grand collaborative showcase between the Dashi floats’ lanterns and the large fireworks in the sky! Fireworks are lit in the sky from around 8 PM during the final hours of the festival. You will be fascinated by the large rounds of fireworks that illuminate the night sky, as well as the Dashi floats lit up by the Chochin lanterns. Please follow the directions of those involved in the parade when you are near the Dashi floats. Not even bicycles are allowed to pass through the festival area due to traffic regulations. Born in Gunma. Web creator. Loves clime-suspense dramas of overseas.